The fact it would have eaten shellfish that it could easily crack open sheds fresh light on their lifestyle, scientists say. Some have suggested they were herbivores as the skull would not have enabled meat-eating but scientists disagree on this and say it likely ate both plants and animals. Gobiraptor’s incomplete skeleton was found at a site known as the Nemegt Formation which has provided a treasure trove of fossils. 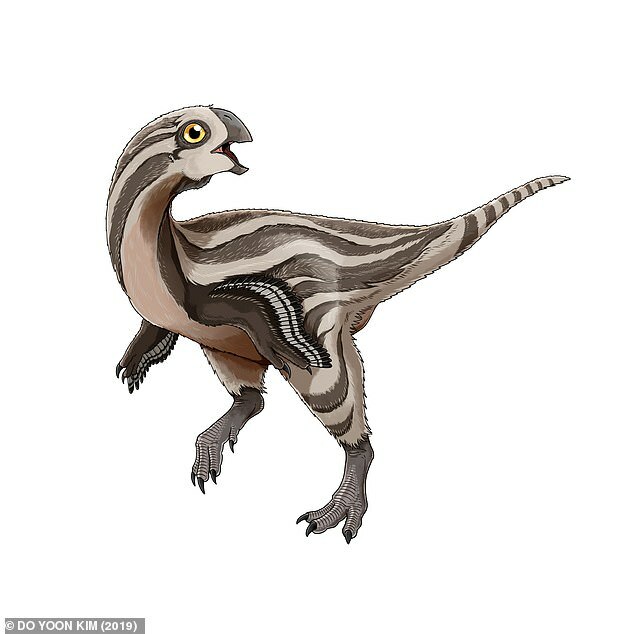 The oviraptorosaurs lived during the Cretaceous period, which spans the period from 79 to 145 million years ago. But there was enough of the skull and other bone parts for the team to produce an artist’s impression of how it looked.